Listen to "Learn Russian - Easy Reader - Easy Listener - Parallel Text Audio Course No. 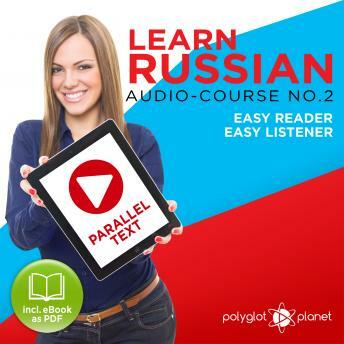 2 - The Russian Easy Reader - Easy Audio Learning Course" on your iOS and Android device. With our audio courses you will quickly master the listening and speaking skills needed to converse with a native. Our audio tutor you will help you perfect your pronunciation and you will even get a better grip of the grammar, whilst avoiding boring textbook material. You will be speaking Russian within minutes of taking our course!